A friend of mine sent me a copy of The Habit - Lincoln has Won, and told me he thought I would like it. Well I gotta say, it surprised me right off the bat. The sound reminded me of the good-old days of what we used to call “college rock.” You know what I mean, the sounds in the mid-eighties of bands such as R.E.M. and such. Not to put this style of music down in any way, but what once sounded so fresh in 1985 has changed quite a bit over the years. The fact that The Habit do sound fresh and invigorating all these years later came as something of a surprise. This may be a silly point, but I was truly shocked when the female vocals came in on the first track, “War Is Done.” This type of music has been such a male-dominated field for so long that her voice was a refreshing surprise. With the cover art and the title, it surprised the hell out of me that this group is from Brooklyn. As a native of the Seattle area, it took me a long time to understand that the Civil War has never ended in some parts of the South. And just to bring this home a bit, my step-dad is a proud Cajun from Louisiana who has spent a good 58 of his 74 years right here in Washington. But when we visit, I’m a Yankee- and not to be trusted one bit. It is weird beyond belief, yet absolutely true. So how does a Brooklyn, NY band get this point even better than I ever did? Thankfully, there is no answer offered. Lincoln Has Won is not in any way a “concept” album about the differences between the southern and northern U.S. The album is good-time, great bar-band type rock of the style we hear far too little of these days. Lyrically, they have things to say, but none of it is in your face. 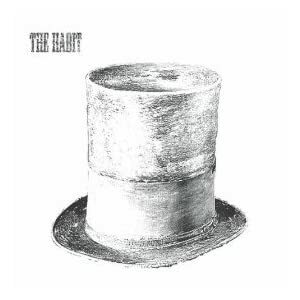 The Habit feature both male and female vocals, but what sets them apart is their sound. I hear this album as road music. It is a term that truckers understand more than anyone else. With 400 miles of bare pavement ahead of you, the wide-open feeling of songs like “Won’t Go Home,” or “Cowboys And Canyons,” make a lot of sense. You know how you can almost feel the junkie decadence of The Stones on Exile On Main Street? I get the feeling of a band constantly on the road with The Habit. And the vibe is of a group who do their best writing on the road. As good as “Blood On The Saddle” is, it seems like a song written in Brooklyn, done “on the clock,“ as it were. Don’t get me wrong, all of these are great tunes. It is just that there is feeling between the 12 tracks between road songs, and home songs to me. Having grown up in the country myself, I have my own perceptions. Every night-out offers a weird range of possibilities. It could be great. Or you could wind up in a fight. You might get laid, or you might wind up in the drunk tank. You never really know, which is why it is the last vestige of The Old Weird America that still exists. Lincoln Has Won is much more than just a great “road record.” “Pennies For Eyes” is harsh, and yes they do go for the “Wild Wild West” ballad. But that last one is the best June Carter Cash tribute I have heard since her passing. Let me just say that fans of The Band, Neil Young, The Flying Burrito Brothers, and yes early R.E.M. will invariably enjoy The Habit. Compared to what is out there, Lincoln Has Won is a ‘68 VW hippie-van, with probably as much smoke rolling out of the windows as Willie’s half-million dollar touring rig. The Habit (think about the name) are probably much closer to the fucked-up (and dead at 29) Hank Williams Sr. than they care to admit. And I guess I dig Lincoln Has Won all the more for that fact.